About GeneScience Pharmaceuticals Co., Ltd..
Home GeneScience Pharmaceuticals Co., Ltd.
GeneScience Pharmaceuticals Co Ltd (GenSci) is one of the largest, most profitable and rapidly-growing biopharmaceutical companies in China, with 7 products on the market and over 10 products in the pipeline. GenSci's business is focused on developing, manufacturing and marketing biologics as well as innovative biogenerics. 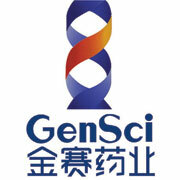 GenSci was awarded the first "Medical Center for Quality Controls of Genetic Engineering Pharmaceuticals" by Chinese Quality Association of Pharmaceuticals (CQAP) in 2007, and the first state genetic engineering "Enterprise's New Drug incubation base" & the state New Drug R&D Major Project of "Eleventh Five-Year Plan" in 2009. GenSci has achieved sustainable successes with rapid growth rates in the past twenty years. One of GenSci's important products, GenLei Jintropin (rhGH, Somatropin for Injection) has been the leading brand of rhGH in China with a dominant market share since launched in 1998. Send inquiry to GeneScience Pharmaceuticals Co., Ltd. Your message will be sent directly to GeneScience Pharmaceuticals Co., Ltd. and will be answered at their discretion.